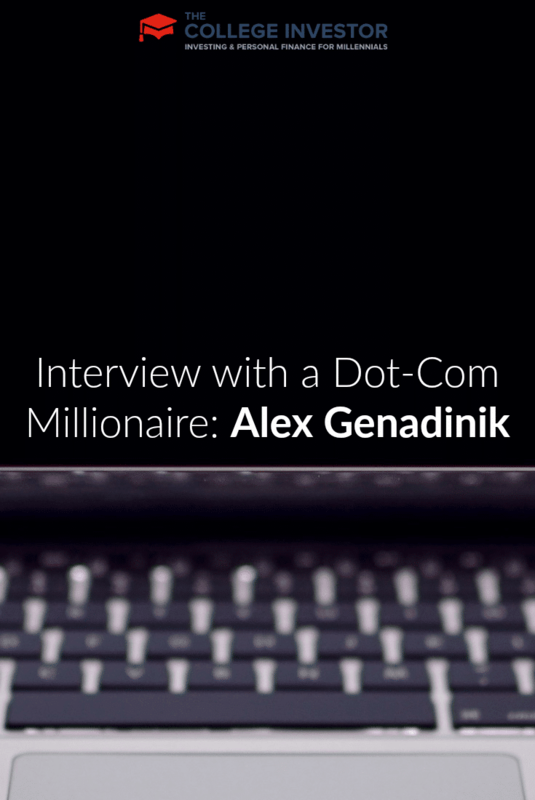 Today I wanted to share with you the story of Alex Genadinik, an original dot-com millionaire who lost a lot but made it back in other ways. At 32, he was just 20 when the bubble burst, but that was enough time for him to have made money investing. That gave him a little bit of money to start with, and he was able to turn into over a million today through hard work, start-up success, and real estate. Now, he’s the founder of Problemio, a mobile app business. As you know, we love talking to young millionaires about how they did it, and what we can learn from it. Everyone has a different path to success, and the unique insight they all bring can be enlightening to the rest of us. With that being said, let’s get to know Alex . . . .
Alex: My name is Alex Genadinik and I have a suite of mobile apps on http://www.problemio.com and I recently started to blog about business at http://www.glowingstart.com. The apps come as a four-app series covering business ideas, business planning, marketing, and fundraising. They are available on iOS, Android, Kindle, and the NOOK. 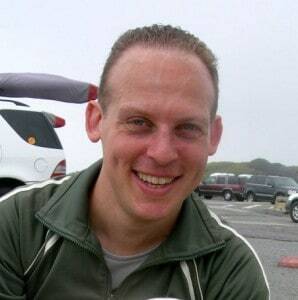 Alex: During the .com boom in the late 90s, I was able to make money that I invested in real estate and the stock market. Plus, I have worked as a software engineer for a number of years, been a part of a $300 million exit at one company, and now have my own business. All the investment, income from work, and my own ventures added up to a substantial sum over time. So it wasn’t one sudden event. It was a combination of things over time. What lessons did you learn from the dot-com bubble that impact you today? Alex: I learned to be very watchful for hype, and to be very cautious about being blindly part of trends. I also learned the values of diversification and risk avoidance. What enticed you to start investing in real estate? Alex: At the time, the housing market was booming and there was a lot of buzz about it. Now the real estate market is not so popular due to the crash of 2008. But prior to 2008, investing in real estate was just about the panacea of investing. You almost couldn’t lose money and many people were making double-digit returns year over year. So at that time it was a no-brainer. Where do you currently invest your money? Why? Alex: Now I invest in myself. I invest in my education and experience. By education, I don’t mean that I take classes. What I mean by education is giving myself the freedom to try different things from which I will learn. So when I invest money, it is into my ventures and my current business because I know that whatever happens, I will learn a lot, and I will experience interesting things. Has that changed over time? Why? At first I didn’t like that answer because I asked for stock advice. But after I thought about his advice, I realized that there was wisdom in it and over time I adopted that philosophy more and more. Is there another way to being a young millionaire without starting your own business or basically being an entrepreneur? Alex: It really helps to have a rich uncle. If you don’t have a rich uncle, then you have to work hard. If I knew of another way, I would probably go after it myself. I personally got very lucky by being at the right place in Silicon Valley during the dot-com boom. But everyone has some advantages either through their background or interests, or education. So one thing to do is to look at what you can be really good at and try to be active in that field. And that could give ideas for how to find your niche. But in any case, to make money, people need to be creative, resourceful, hard-working, and patient. And over a period of a number of years, they will get there. Alex: The biggest risk was when I started one of my first companies comehike.com without taking any investment. I had to literally figure out how to get revenue from that business from day one. It was very difficult, but I learned so much by just throwing myself in the pool and having to learn to swim. I don’t regret it now, but I do wish I would have gotten more mentoring and guidance. That would have really helped. Alex: I am very interested in green initiatives and figuring out what can be done to reverse the global climate change. I am hoping to be active in that field at some point. Alex: I really want to emphasize the importance of hard work. You have to work nearly every day for many hours a day, with great zeal, for a number of years. And I would also add that you not only have to work hard, but also intelligently and creatively. I would also advise not to work alone. Get great mentors and co-founders. That will make things go much faster and smoother for you. I learned a couple things from Alex. First, Alex really highlights the importance of having multiple income streams. Yes, he doesn’t call it out overtly — but that’s what he did. He has his job, he invested in the stock market, and he bought real estate. As a result, when the market tanked, he was still able to build wealth because of the other income streams (and assets) he had. That’s why you should never put all of your eggs in one basket. It’s also great to hear that he didn’t do it even though he was part of the tech boom. Too many investors kept all of their stock options and assets with the companies they worked at, and while some turned into very valuable investments, most didn’t. I also like how Alex highlights that everyone has some unique advantage — whether it is education, background, interests, or hobbies. I’m a firm believer in this. To be successful you shouldn’t have to transform into someone else, you should find what is uniquely “you” and take advantage of that. It’s great to hear that’s how Alex did it. What are your thoughts on multiple income streams, working hard, and having a unique value proposition for yourself? Solid interview! It is always great to hear from people who are successful, and to listen to their wisdom and learn from their insight. Thank you for posting! Love these interviews. I think the biggest thing i took from this is how he repeatedly said to work “creatively.” Yes, it’s important to work hard, but also think about what you are working toward, and creative solutions to get there and further! “invest in yourself because the stock market is not a fair game” – great advice! Really enjoyed the interview. Any plans to do a podcast or post audio interviews? You know, I don’t really have any plans for that – is that something you’re interested in?